and the new girl is about to start believing in werewolves. Visit the Wolf Springs Chronicles web site! 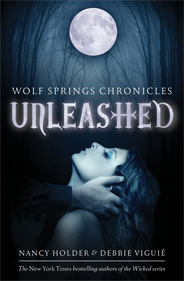 Check out all of the bloggers and posts on the UNLEASHED Blog Tour!